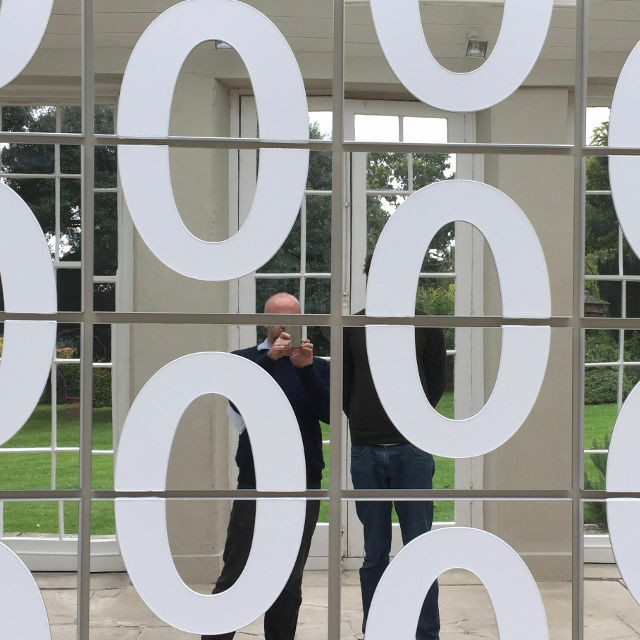 A rare mid week trip away from Shropshire last week gave Alex and I the opportunity to visit Roche Court and see Darren Almond’s exhibition of new work. 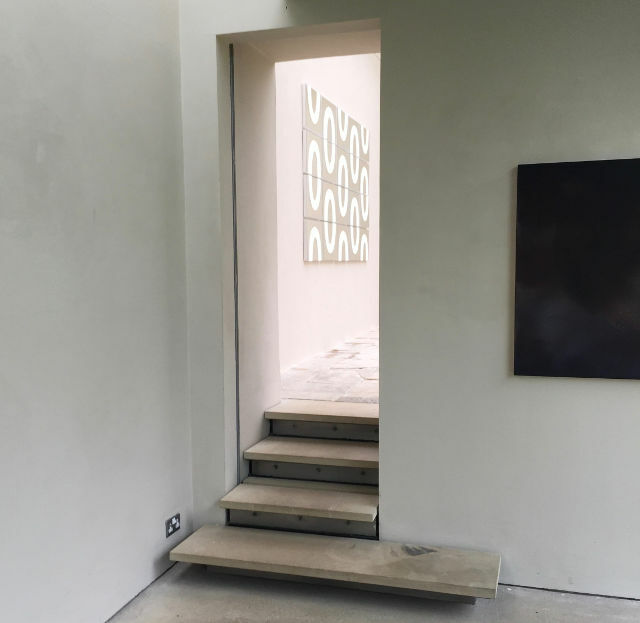 It may have been half term but the galleries were quiet and we had a tour of Roche Court’s Artists House to ourselves. 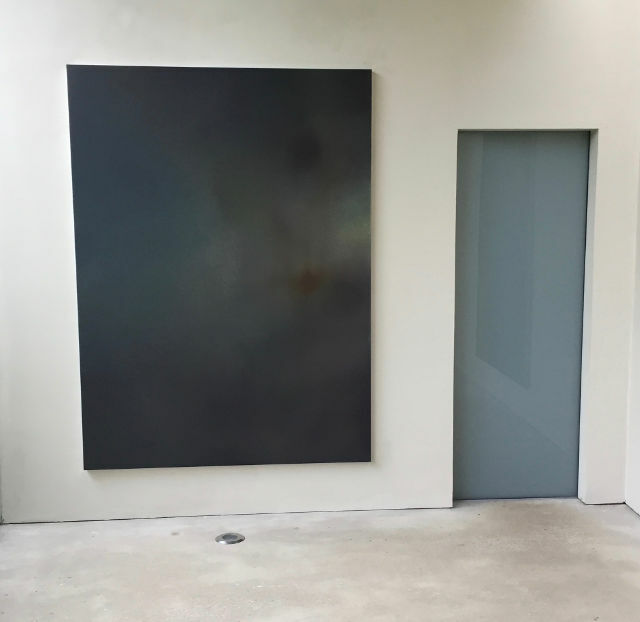 In the domestic space of those rooms were some of Darren’s work that I was familiar with: photographs taken at Giverny in the time just before day break known as civil dawn, a sideways continuation of his Full Moon works. 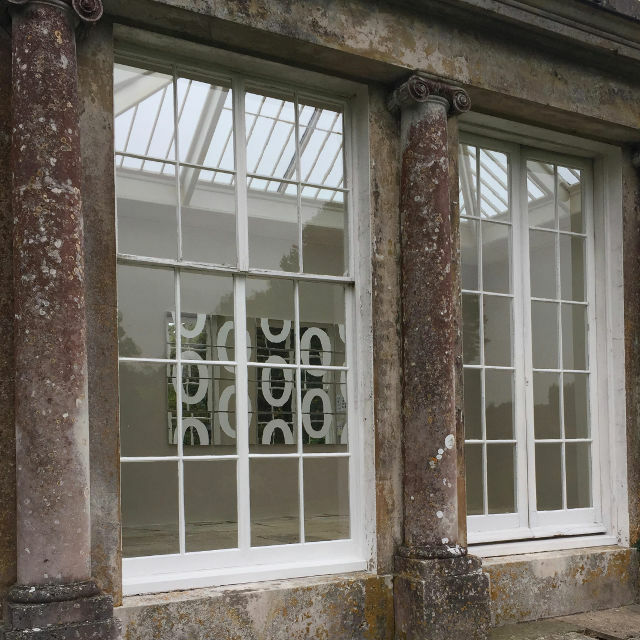 In the Orangery galleries and the outside space were paintings, painted mirror pieces and train plates. 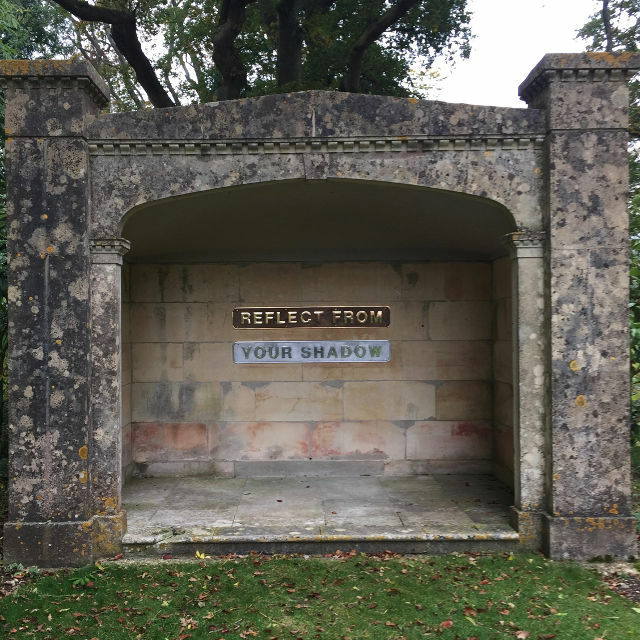 If I say that the works continue the themes of his earlier sculptures, photographs and video works then it sounds like I’m suggesting he has been standing still – he hasn’t, it’s just that these are the huge subjects of time and space, our position within these and our understanding of them. 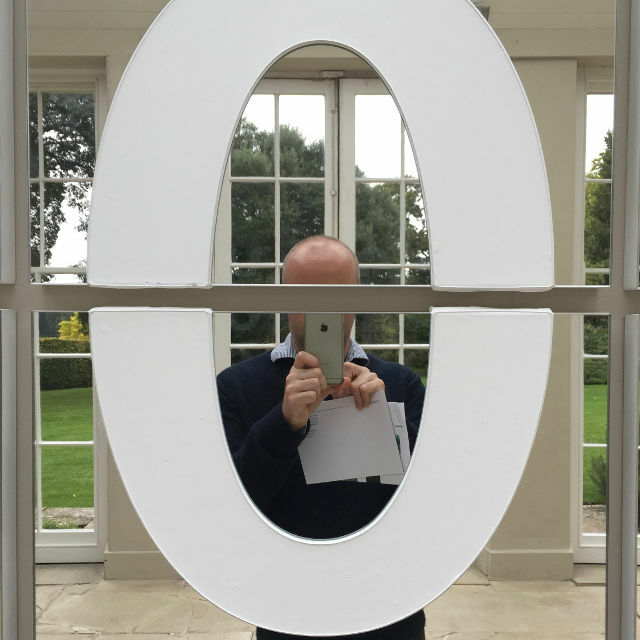 The combination of mediums and playfulness – the mirrored works may make good Instagram fodder (particularly for those of us who shy away from selfies) – all work side by side, the reflection of the viewer in the mirrored works with the codified broken zeros makes the viewer aware of the relationship between themselves and both binary structures and the base point of zero from which everything else is objectified. 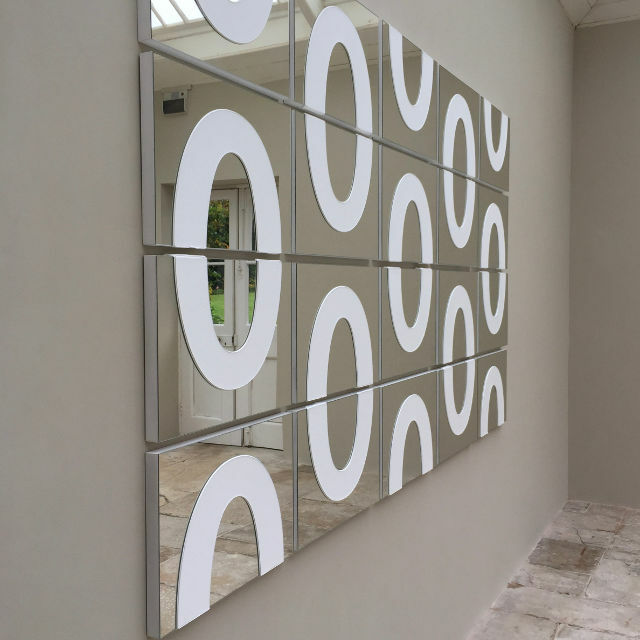 His Timespace paintings are shown in the same Orangery gallery as the mirrored works. 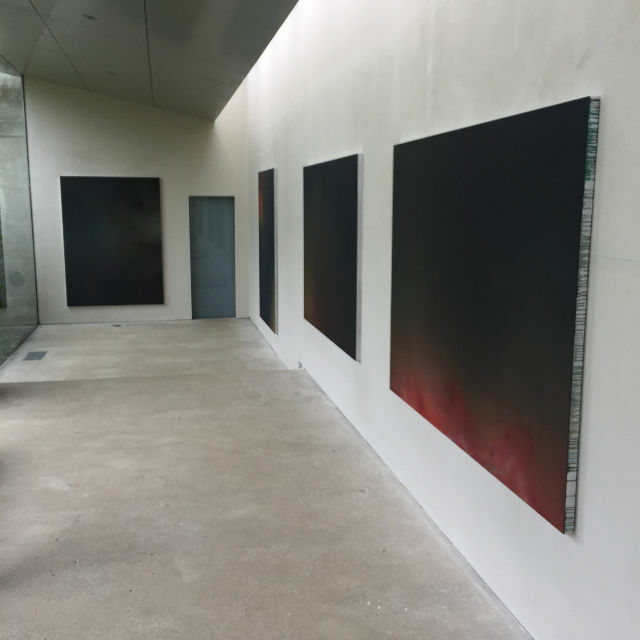 Painted on aluminium their depth is encompassing – dwarfing the viewer not in physical scale but just in the manner in which you can grasp an understanding of them as being depictions of deep space, and thus opening that can of worms that is trying to get a handle on distance, scale and time of space. The exhibition continues to November 11th. 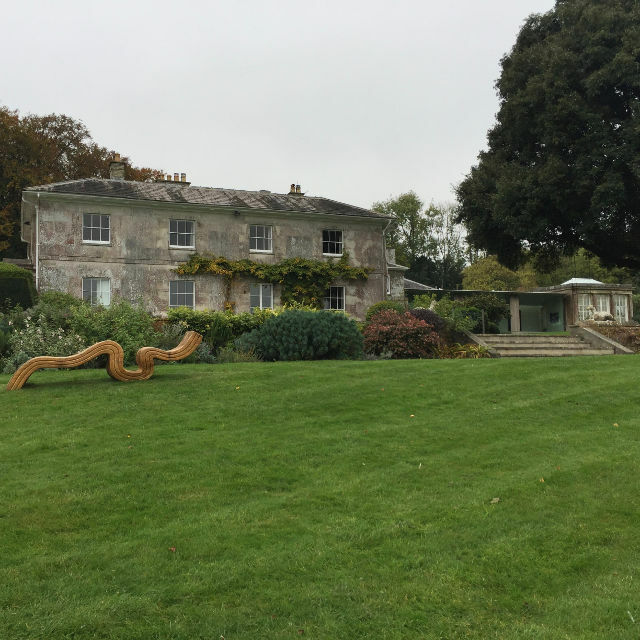 If you can’t make it then Roche Court is worth a visit anyway – there’s no café and no gift shop but there is great art work and lovely grounds . . . and you can get a cup of tea and and souvenir eraser elsewhere!